Those who know AG series by Osprey might love to hear that there will be new Osprey Aether AG and Ariel AG packs launched in 2017. Practically all Osprey’s AG models have received numerous awards ever since they appeared a couple of years ago. These packs stand out for its excellent ventilation. Osprey has been busy recently, they have introduced the same system in their existing Sirrus and Stratos packs, they should be available on Amazon very soon. New Aether AG suspension – 2017 model. 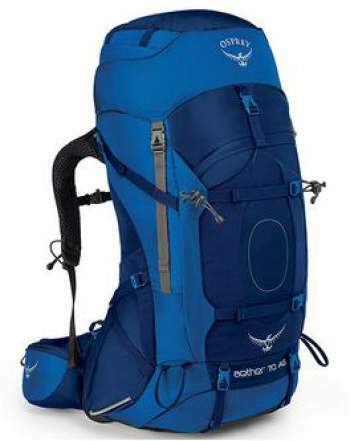 Aether and Ariel series, for men and women respectively, are among the best packs in the mid-size and large-size backpacking and hiking packs. Several of them are described in this site. Now, Osprey has plans to release the modified models of these packs, and they are supposed to appear in the early spring 2017. Aether 85 AG (for men) & Ariel 75 AG (for women); $330. Aether 70 AG (for men) & Ariel 65 AG (for women); $310. Aether 60 AG (for men) & Ariel 55 AG (for women); $290. 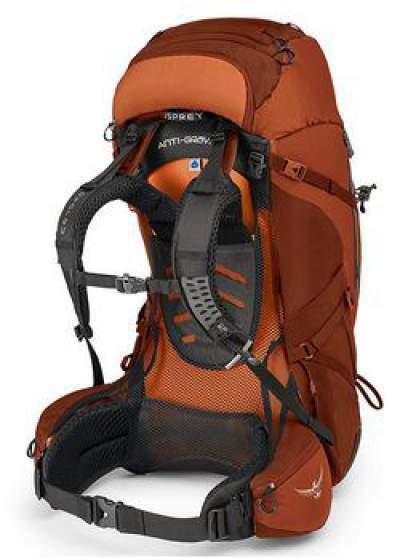 These packs will combine Osprey’s Anti-Gravity system and Custom Fit harness and hip belt. Please see here my review of the Aether AG 60 pack. See also my detailed review of the Ariel AG 55 pack. New Aether AG – front view. Continuous AG suspended lightweight mesh which extends from the upper torso through the lumbar area. Convertible DayLid which doubles as a summit pack. Custom fit IsoForm harness and custom mold hip belt for an excellent fit and comfort, in addition, both interchangeable. Anti-Gravity LightWire tensioned peripheral frame. Here too Osprey’s All Mighty Guarantee applies. Three access points: from the top, the front entrance, and through the bottom compartment. The packs are mostly made of reinforced 210 D (upper) and 500 D (bottom) material. From inside the fabric is covered with a water resistant translucent material with polyurethane. The AG mesh in the existing Aura models. The new Aether and Ariel AG mesh. As I understand, pack comes with rain cover and water reservoir(0.3 and 0.09 kg), while Atmos does not, are they included in pack weight? Deduct this weight and Aether AG 70 in M will be slightly lighter then Atmos AG 65. Hi Levan. There is no water reservoir included, as far as I am informed. Please see my text about Aether AG 60. I see, obviously I misunderstood your comment from 29.12.2016. Thank you for pointing this out, obviously my mistake. Most likely I wanted to say external water bladder sleeve. Going to correct this. Much appreciated. I found a sort of preliminary review on the “Switchback Travel” web site. Of their 15 best backpacking packs of 2017 they rank it #7, so you have to scroll down. To me it’s sort of a strange review. Though they don’t go into much detail, most of the description is positive. They only thing they don’t seem to like is the weight, esp compared to the Atmos, but since the Aether is rated to carry 10 more pounds and has more features, that seems petty. Hi Alan, I am going to publish my review of Aether AG 60 today, just check in the site a bit later. Hi Alan. I have just published my preliminary review of Osprey Aether AG 60 pack, so please just follow the link. Osprey just posted the first official video of the new Aether & Ariel AG packs. Thank you Regan, I have seen it on Vimeo, it was posted much earlier. Thank you Alan. I have seen the video on Vimeo, they uploaded it there recently. Thank you for the review. Seems like the hipbelt pockets are a bit larger on this new model. Let’s hope they aren’t like the Atmos AG pockets. The thing that concerns me the most is the fact that the new version moves from a four point tightening belt to a two point tightening belt. If there is enough tackiness on the webbing this should be fine (for a 30ish lbs load) but if this is just an Exos with an Aether body and half of an Atmos AG suspension your gonna be wearing it on your shoulders more than you think. I do like though that the load lifters seem more operable than the Atmos AG suspension. I purchased a late model Aether 85 and 70 (at a ridiculous discount) just in case these new models struggle. So many nice things about this pack though. Can’t wait to actually hold it and make a better assessment myself. Exciting times to say the least. Hi Steve, thank you for your thoughts. There are a few things that make me concerned, agree with what you are saying. I have my review of the pack ready but did not publish it yet, pointless when the pack is not available. I still don’t really understand your hesitation. I don’t see how it would be detrimental to the backpacking community, and it might generate the best kind of publicity for this site. Ultimately and obviously, it’s up to you when you want to publish the review. Many thanks Regan, it was fun to watch. The packs can already be ordered at a few places on the Internet. Thanks for the video. It still seems strange to me that there’s still so little info about these in the US. I guess Osprey is trying to sell out the previous models before promoting the new ones. Who knows? Hey Alan, you are right, I see the previous model on discount everywhere. On the other hand, the new model is missing even on Osprey’s site and this looks strange. Osprey seems to do that. They will announce new designs at events in the summer…but won’t release them to the public until the next year sometime in the early Spring. So for nearly a year its impossible to buy them, and very hard to find any video reviews of them. I think this is so that they can get rid of overstock of previous models. It’s frustrating for those of us who want the new models, but great for others who buy the old models at substantial discounts. i don’t see the Aether AG on Amazon yet, but i do see it on REI for preorder. strangely tho, they only have it in 2 colors the olive green and the orange. The cobalt blue color is not shown. Strange. 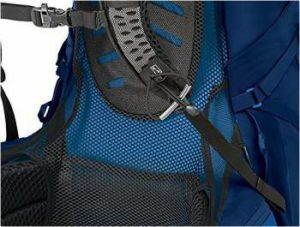 Same with the new Talon packs on the REI website. Color options are missing. And the new Starts packs arent listed at all yet. I imagine this will change by March. The closer we get to Spring, the more they will appear. Video reviews will follow by April & May as people start buying them. So a few more months of waiting perhaps. I have my review ready but do not see the purpose of it. What is the pointing of reviewing an item which does not exist? I was actually shocked when I heard Osprey was going to put the AG system on the new Aethers & Ariels. Love it on the Atmos, but Aether has traditionally been their heavy hauling pack, and being closer to the body is usually important for heavier loads. Should be interesting. The convertible top lid to day pack is cool too. Although I love the Osprey packable daypack. It’s the size of a tennis ball rolled up, and I just throw it into whichever backpack I’m using. Hi Regan, I believe they are going to introduce the anti-gravity system in all packs. Already many of their series have it. I wonder if you have seen, Sirrus and Stratos are the latest series which they modified by adding this system. 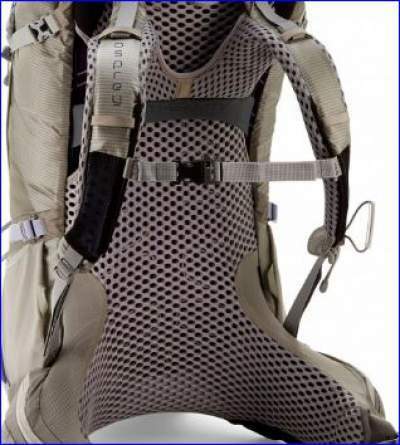 Previously, they did it in several others, like the Osprey Poco child carrier (now all three models in this series are AG), then Manta and Mira etc. The convertible lid in Aether AG is a true masterpiece, fully functional daypack, I have not seen anything better so far, and can tell you I described these convertible tools in a separate post with 8 different types of daypacks. What they have done with Aether and Ariel is the best regarding the daypacks. You are right Steve, I realized this nuance just yesterday and was thinking to add a sentence or two. Going to do this during the day. They call it “AG-inspired”, and it is easy to realize what this means, you have seen the mesh on the hip belt. Have you noticed, they did something similar to Talon and Tempest series for 2017, but they do not mention AG. Thanks a lot, great to hear from you. I’m hoping the Aether AG offers something like the best of both worlds. That is, excellent ventilation and weight distribution like the Atmos, and good support for heavier loads like the previous Aether or Xenith (overkill for me). Looking at the pix on REI, I think this might be the case. It appears to have a pad/frame in direct contact with the back, while the hip belt and periphery is composed of breathable ‘lightwire’ mesh. No problem Alan, hope to hear from you soon. Meanwhile, as you see, Regan joined discussion both here and in another text about the Stratos and Sirus AG series. I assume you have heard about this news as well. We’re a week into the new year, and it’s a little puzzling that there’s so little detailed info. I can’t find anything on the Osprey web site. This site contains the most info, and it’s still pretty tentative. “Write” a review. Sorry for the intellectual vanity. Thank you Alan, yes I have seen them, both Aether and Ariel packs are already available, but not on Amazon yet. Have you seen the day pack? A true masterpiece. All I know is what I’ve gleaned from the REI site. Tell me more about the daypack. The previous Aether/Ariel lumbar-pack is functional, if basic. Based on the pix on the REI site, the lid on the new AG models seems to convert nicely into a backpack. At REI they still speak about a lumbar pack. In fact, this is a fully functional day-backpack with several zippered pockets and sternum strap. I do not think any backpack on the market has a better bonus daypack. To some extent, similar is the one you can see in Thule Guidepost pack, but this Atmos’ pack is better. These days I shall write reviews of these packs. I think ‘lumbar pack’ is probably a mistake. Looking at the pictures, it clearly appears to be a backpack, but maybe it can be set up either way. It really annoys me that the Atmos AG top lid doesn’t covert into a day pack. It’s so easy and inexpensive to do. Of course the reason is to encourage prospective buyers to purchase an expensive, separate day pack that attaches to the front. Many sites are now selling the 2016 versions of the Aether (NOT the new AG version) at significant discounts. I’d actually think about getting one, but in addition to the new AG feature, I also like the improved top-lid-day-pack. The new version is more expensive, but you have extra features, it may be worth investment. There are a few other benefits as well, rain cover, external water bladder sleeve. I’m going to Asia in February, will it be released in January? Hi Danielle, the new Ariel AG series has the same large J-shaped front access point. The packs are already available at REI, but not yet on Amazon, I guess this is just the matter of days. You will have this information here, stay tuned. I’m really interested in the forthcoming Aether AG packs. I was trying to decide between the Atmos AG and Aether packs. I was leaning towards the Aether because I want a lid that converts into a day pack and also want something with a bit higher weight capacity. Hi Alan, in view of what you write it makes sense to wait till the pack appears on the market. On the other hand, if a day pack is a must, think also about Kelty Catalyst packs, have them several described in the site, like Catalyst 80. Also Gregory Stout 65 has a day pack. The same is with Gregory Baltoro 75, and Thule Guidepost 88 or some smaller version, and Deuter Qyantum 70. Thanks for the reply and recommendations. I’ll take a closer look at those packs. 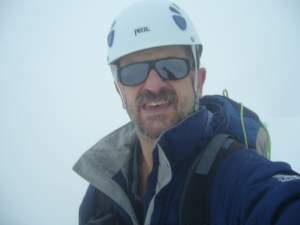 I already have an older Deuter Act Lite 75+10. It’s a good pack, but it would be better for a larger person. I’m only 5’9″ 160 pds (sorry, I’m too lazy to convert it to metric). Even though Deuter’s ‘Vary Quick’ system is adjustable, a one-size fits all is far from ideal in my view. I like that Osprey has different general sizes for various body types and the hip-belt and shoulder harness can be switched for an even better fit if necessary. While the larger day-pack on the Deuter Quantum is nice, I doubt I’d need it. After establishing a base-camp, a lid that converts to a day-pack is enough capacity for day-hikes. I don’t need a pack anytime soon, so I can continue to look at options. I’m taking a couple weeks off in late February, so would like to get something by then. Thanks again.